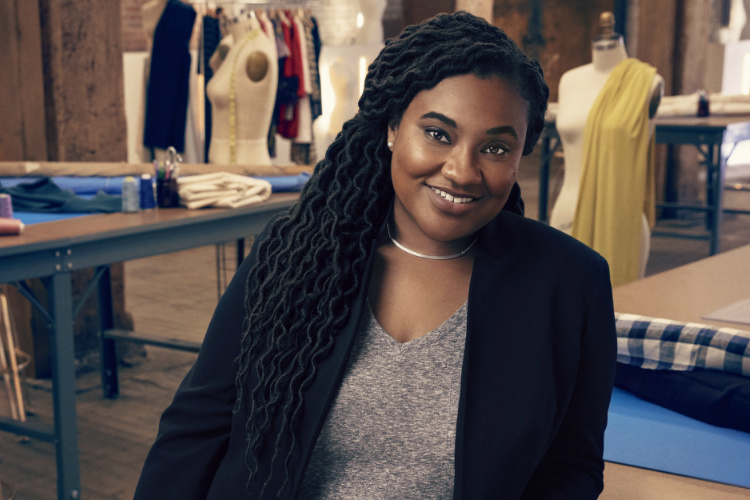 Project Runway’s Frankie Lewis: What Gets Her Creativity Flowing! Project Runway 2.0 continues tonight! 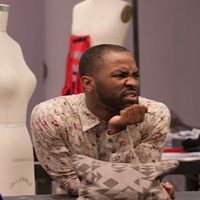 Last week after the body modification team challenge, Frankie Lewis, the self-taught designer from Louisville, Kentucky, got sent home. We caught up with Frankie in Los Angeles to talk about what she learned during her short stint with the show, and what tools she loves to have when designing! What do you take away from your experience on Project Runway? I got to take away really good friends and really good people. I’ve always been a person who’s never rich in money but always rich in people and Project Runway added to that piggy bank, so I’ll forever be grateful for that. I also learned how strong I am and the kind of designer I want to be. Even though it was a short experience it’s still a very valuable one to me. What made your time there so challenging? I’m such a people pleaser that I was super focused on trying to predict what the judges would want. With the judges being so new we really don’t know what they want and what gets them excited. I feel like I didn’t get to push it as far as maybe I could have. I still love my design! I Know with two more hours I could have gotten a great fit on my model and turned it into something close to flawless. If you could write your own rebuttal to the judges’ comments, what would it be? It’s difficult because you don’t want to make excuses to the judges. But I guess if I could say anything it would be, “Come on now, I made this in two days!” Our designers are so talented they make it look easy. Sometimes I think the judges forget that we only have a day or two, so it’s not easy. So what kind of designer are you? This just came to me: I am an inclusive designer because I make clothes for all bodies, whether they are super skinny or plus size. I feel that everybody should have the clothes that they want to wear that fits. With my brand Frankie Lew, I’m going back to just having fun and not worrying about what the fashion industry standards are or what people think plus size fashion should be. I also realize that I have some crutches and when you’re on a reality show you’re not able to have those things. To be creative I need music, I need my dog staring at me while I sew, I need people popping in on me every once in a while just to check on me — every now and then I need a little glass of wine while I’m sewing. Things really contribute to my creativity and I got to see how important they were when I didn’t have them. Whose aesthetic do you admire on the show? Sebastian [Grey], I am in love with everything he designs. He’s some kind of genius, it’s just ridiculous. And Afa [Ah Loo] is really good. They were on the winning team so they were set up for success. Watch Project Runway Thursdays, at 8 p.m., back on Bravo. 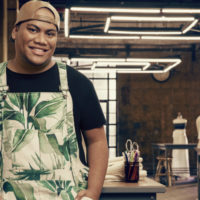 Project Runway’s Afa Ah Loo Responds To Fans Who Say Judges Eliminated Him To Soon – DivaGals EXCLUSIVE! NBC Press Tour Winter ’19! 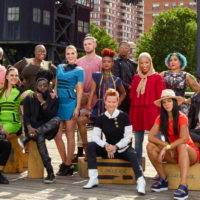 Project Runway Back On Bravo – All The Secrets You Need To Know!